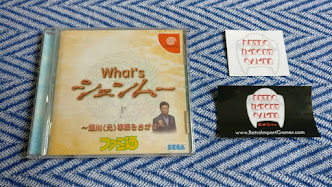 In today's post we'll look at one of the rarer pieces of Shenmue merchandise, and one that remains somewhat shrouded in mystery even today, ever since its publication back in 1998. The item I am referring to is one that has become known to fans as the "Shenmue Art Book". 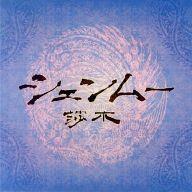 This it not an official name, since the front cover simply reads "Shenmue". The YS logo of Yu Suzuki adorns the back. Front and back cover of the Shenmue Art Book. What Is the Shenmue Art Book? It can be best described as a high-quality, full-color booklet consisting of 36 generously-sized glossy pages and is cram-packed with photos, concept art, maps, development flowcharts and text (in Japanese) relating to the first two Shenmue games. There are a few reasons why the contents of this book are still not well known to the fan community. These include their rarity due to the limited number that were sold, and the fact that the fine text and numerous images fill the page right to the spine, making it practically impossible to lie the book flat for scanning without the risk of damage. 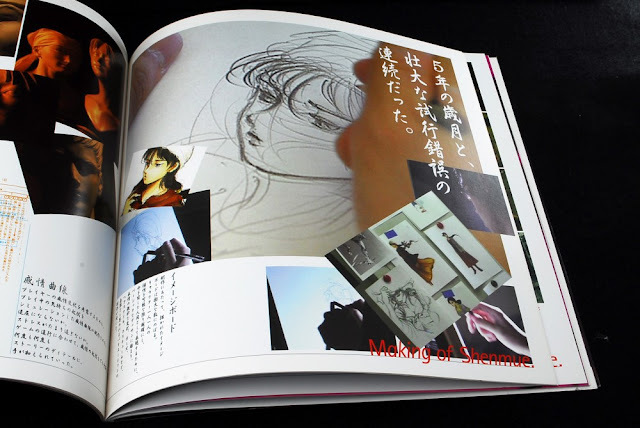 The "Making of Shenmue" section from the Art Book, showing concept art for Shenhua. 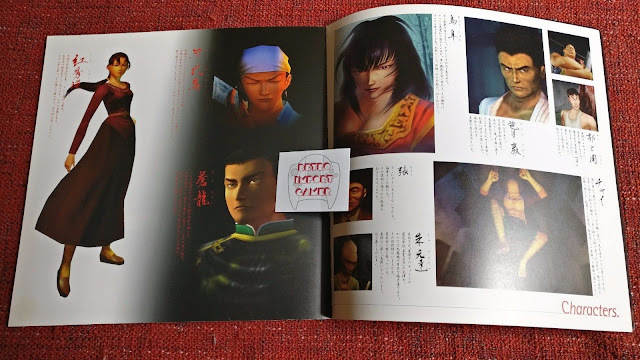 The good news is that our blog sponsor, Retro Import Gamer, has recently managed to obtain a Shenmue Art Book in stock for their Ebay store, and has kindly provided us with super-close photos of the page contents to ensure text is readable for translation. 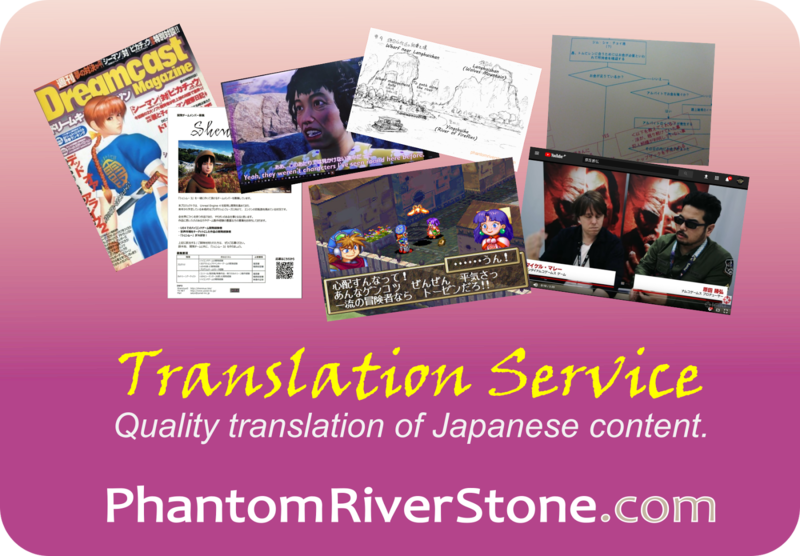 We will be translating and highlighting various parts of the book in this and future blog posts. The Shenmue Art Book was available for purchase exclusively at the Shenmue Premiere event, held in six cities across Japan across the space of one month from December 1998 through to January 1999. For this reason, today it is one of the most uncommon Shenmue merchandise items. (I have come across some English-language pages online citing it as having being available at the 1998 or 1999 Tokyo Games Show, but I haven't found seen any evidence to back this up among Japanese-language sources). Concept: an introduction that talks about Yu Suzuki's visit to China, and the 5 years of development from its initial form as Project Berkley. Story Image: a poetic outline of the journey that Ryo embarks upon. Characters: art and descriptions of a selection of characters: Ryo, Iwao Hazuki, Shenhua, Xiuying, Ren, Niao Sun and Lan Di. Fields & Sites: in-game screenshots of several locations. Time Control: the importance of time in the game in things like character schedules. Magic Weather: the weather system with screenshots. In the Rooms: it is stated that the number of rooms in Kowloon exceeds 1200! Accompanied by concept art and in-game screenshots. View Mode: all graphics are generated in real time, including cut-scenes. Play Mode: a description of the controls used during play. QTE: an introduction to "Quick Timer Events", with scenes from the game. QTE Battle: the incorporation of QTEs into battles. Making Money: aspects such as gambling and part-time jobs. Events: a selection of events from the game are displayed. Making of Shenmue: this section I think is one of the most fascinating, with potential for new information. It contains snippets of actual design documents, maps and flow-charts used when creating the game. The Song of Shenhua: the lyrics to Shenhua's theme song are laid out against a forest backdrop. Actors & Actresses: character concept art for some of the main characters is shown, together with photos of the people who voiced them in the Japanese version of the game. A brief bio of each is also presented. Messages: comments from people such as Yu Suzuki and Bajiquan Grand Master Wu. Game Credits: key people who contributed to the development of the game. Original Goods: an illustrated summary of the Shenmue merchandise that was for sale at the Premiere Events. "Story Image" gives an outline of the journey that Ryo embarks upon. Not to be confused with the Art Book, a pamphlet with a similar illustration and of similar dimensions also exists. It is a "tri-fold" pamphlet, where it opens out into one wide sheet that highlights the features of the game. As a reflection of SEGA's generous marketing budget at the time, this pamphlet was distributed to lucky attendees of the Premiere events as part of a free Shenmue goodies pack that included other items such as a black Shenmue T-shirt and a Shenmue CD single. The pamphlet has a blue cover, distinguishing it from the Art Book which is obviously much more substantial. It turns out that there are in fact two versions of the tri-fold pamphlet, both in shades of blue. (Thanks to Richard de Keijzer for providing this information). 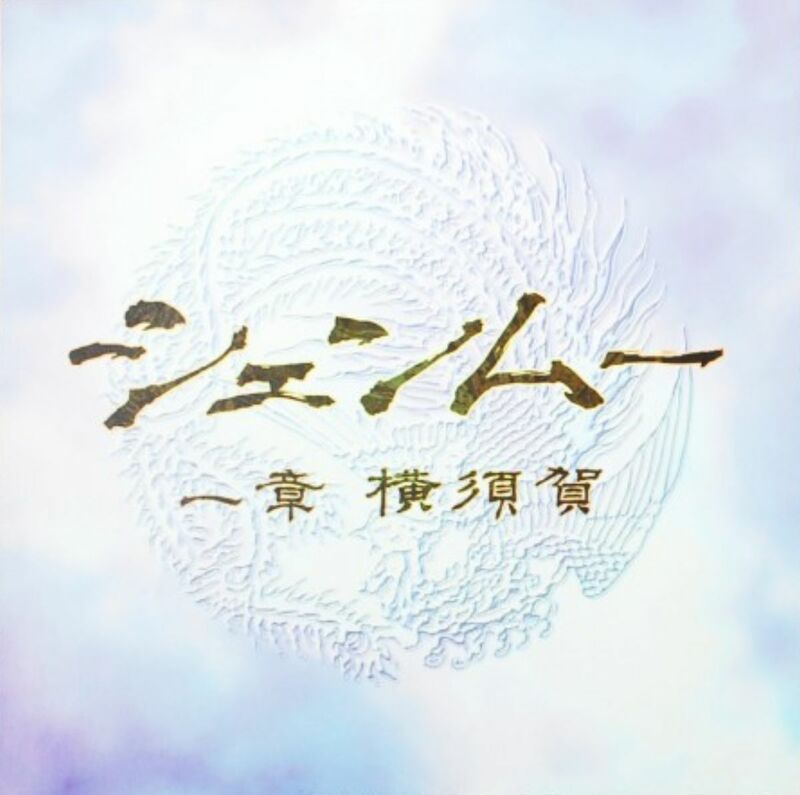 The first version, covering the features in Shenmue, has the subtitle "Chapter One: Yokosuka". The cover of the Shenmue I tri-fold pamphlet. Shenmue I tri-fold pamphlet, showing the 3 inner pages. 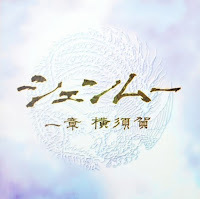 The second version, covering Shenmue II, follows the design of the Art Book and has "Shenmue" written in kanji characters. The cover of the Shenmue II tri-fold pamphlet. Content of the Shenmue II tri-fold pamphlet. In the next Shenmue Art Book post we will look at the Characters section. Stay tuned. As mentioned, a copy of this much sought-after Shenmue Art Book is available now from our friends at Retro Import Gamer. Regarding the quality of the art book, an article in the January 1999 edition of the Japanese Dreamcast Magazine enthused that it "must be seen to be believed". 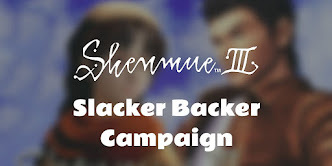 If you are looking to build up your Shenmue collection, check out their listing at the link below.